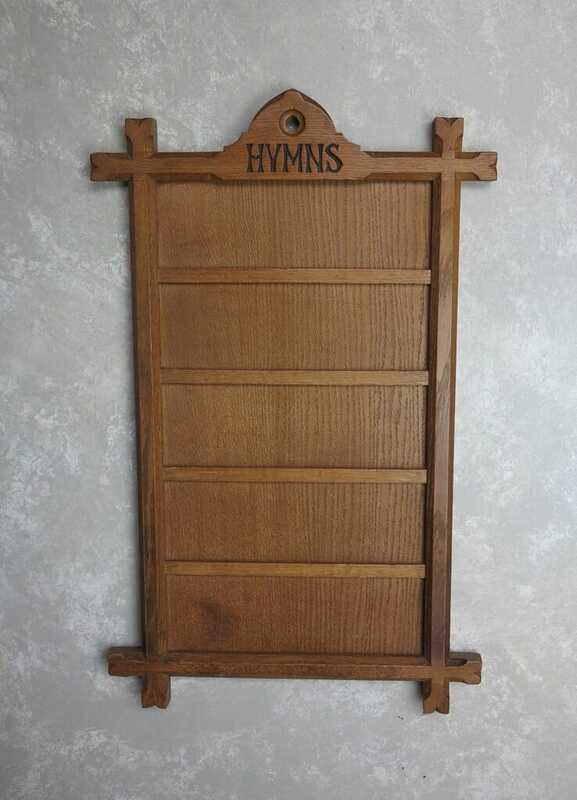 This is a lovely solid hand carved hymn board from the Victorian era. 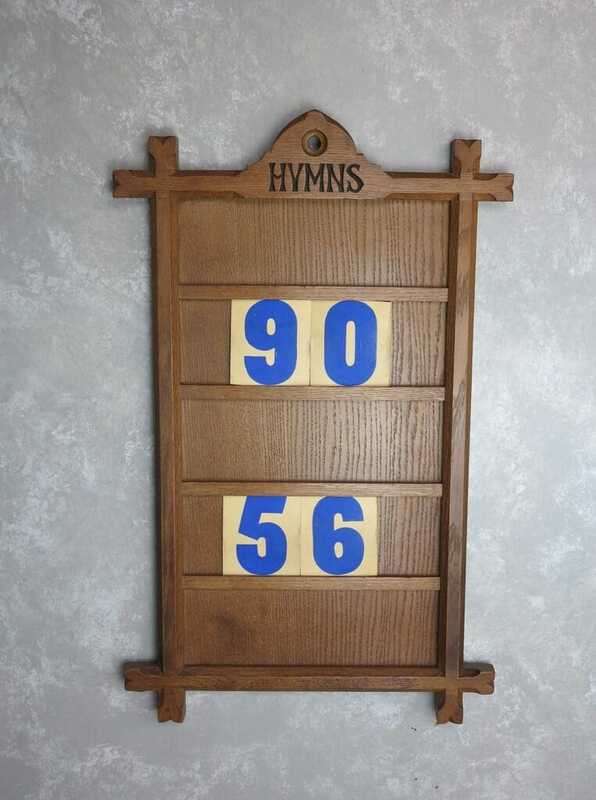 There are five spaces used originally for the hymn cards but they make fantastic holders for family photographs. 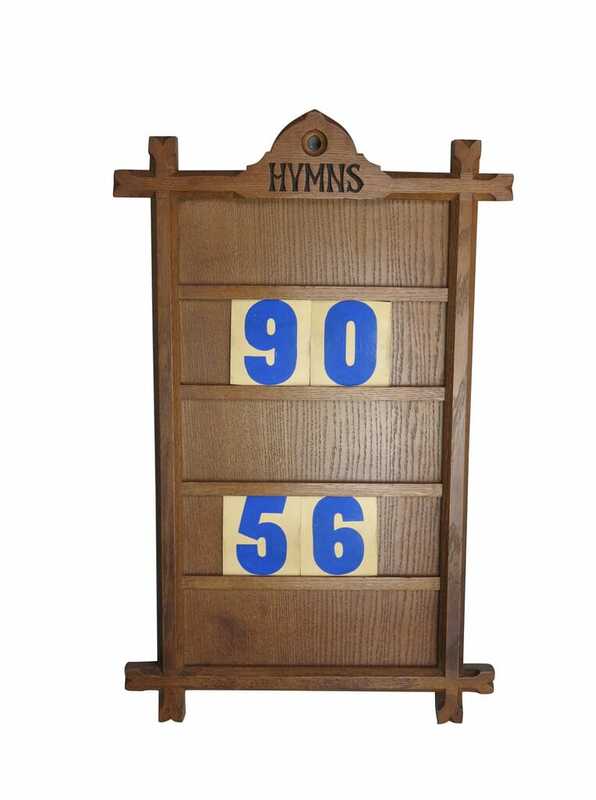 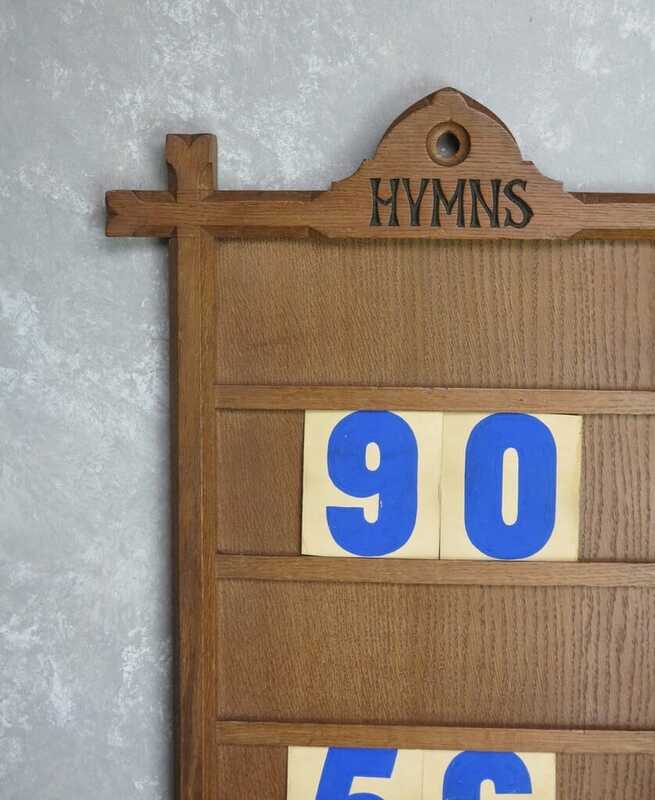 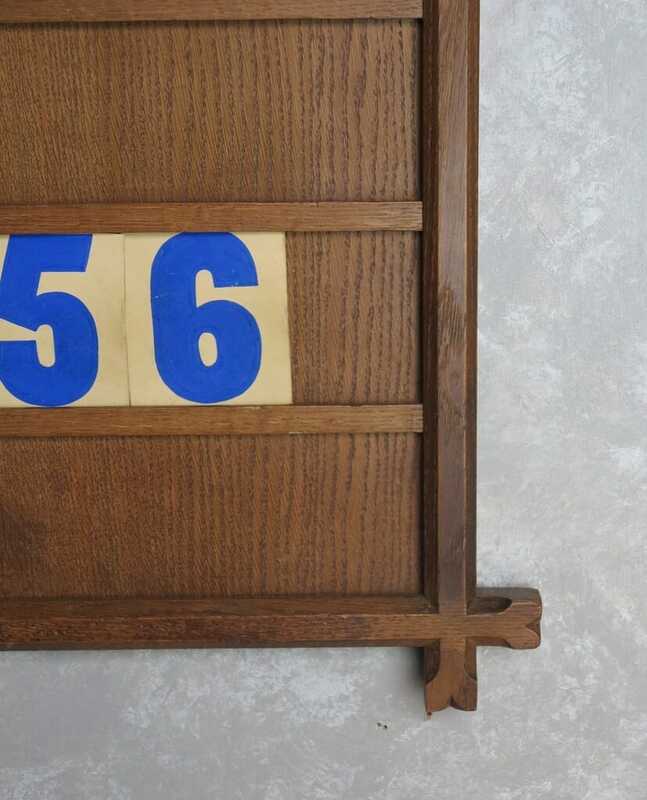 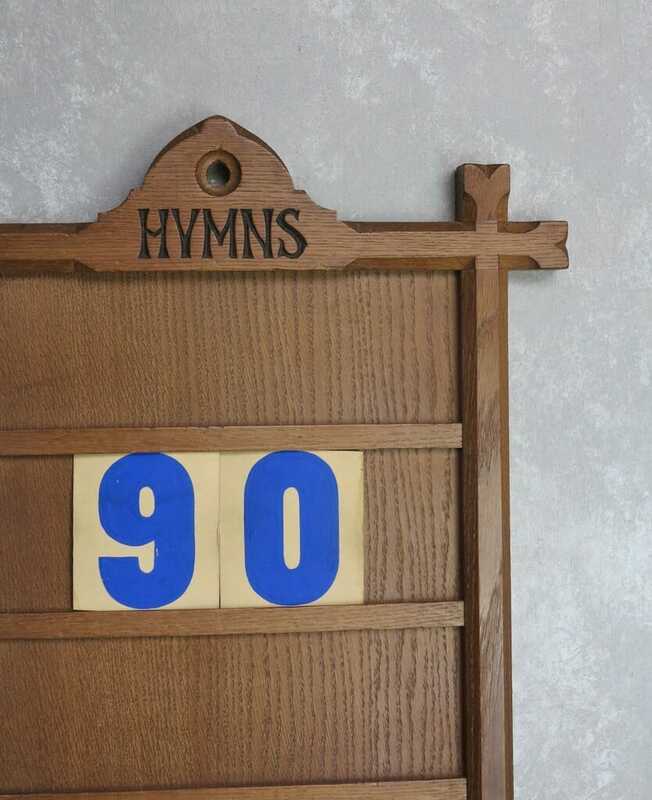 The hymn board measures 29 ½" Tall x 18 ¼" Wide.